Do you have a Will? If not, here’s your chance to sort one out. McClure Solicitors will prepare Wills free of charge for supporters of Bowel Cancer UK - just consider a donation for the charity. As long as you are legally an adult, there is no minimum age to prepare a free Will using McClure Solicitors and unlike some free Will schemes, the cost is not passed onto the charity. Andrew Robertson, Managing Director of McClure Solicitors explains why they support charities in this way and the importance of having an up to date Will. "The Free Will Service is very important to McClure Solicitors and it is a win:win situation for everyone involved. You benefit from having a professionally written, up to date Will ensuring your affairs are in order. Bowel Cancer UK benefits from the donations and potentially from gifts made in the Will (although both are voluntary); and McClure Solicitors also benefit because over 50% of people who make their Will through us are so pleased with the services we offer, they use us for other work." If you do not have a Will it will cost more and take longer to wind up your estate and your estate might go to the wrong people. I already have a Will - is that okay? It could be, but research shows that 1 in 4 Wills are defective. Also, if you made your Will a while ago your circumstances may have changed. 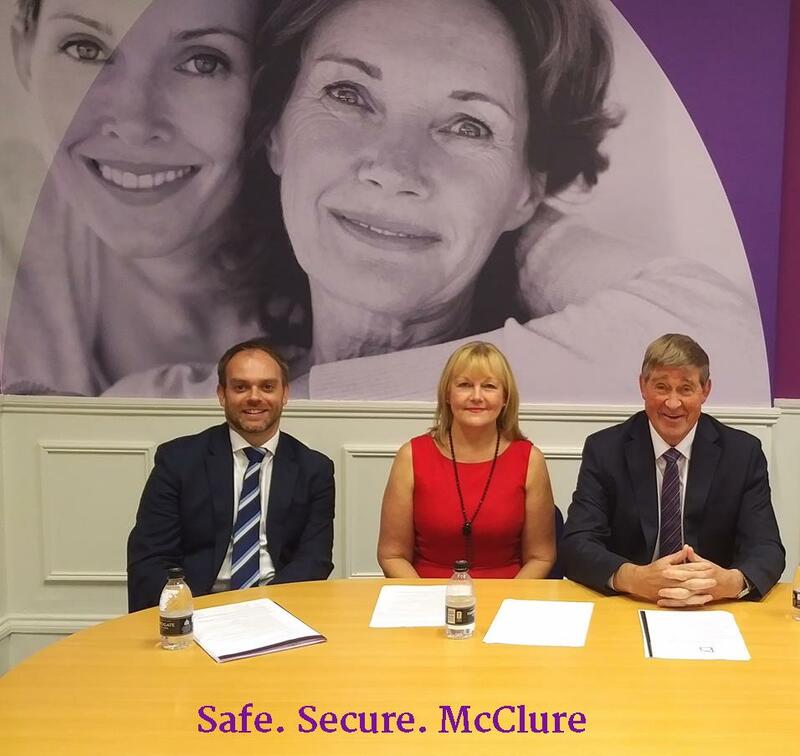 The good news is that McClure Solicitors will carry out a free safety check and if you need a new Will that is also free. Everyone should have a Power of Attorney (in England an LPA) especially if they are over 50. More of us lose mental capacity these days as we are living longer. Without a Power of Attorney your family will need to go to Court - which is an expensive and slow process. The good news is that McClure’s Powers of Attorney are half the usual price and they include a Welfare Power of Attorney free of charge. Estate planning considers how you might minimise inheritance tax, or consider where your estate is likely to go next. McClure can provide tailored, practical advice that will allow you to leave less or nothing at all to the taxman, while you still keep control of your assets. McClure Solicitors will only recommend this for you if it is appropriate for your circumstances and there is no hard sell. I am worried about losing my house due to care costs. Is there anything I can do? There is a lot you can do. The rules are complex and everyone’s circumstances are different. McClure Solicitors has already helped nearly 20,000 clients in this way. McClure Solicitors have 13 offices across England, Wales and Scotland and may do home visits on request. They do not operate in Northern Ireland. Unlike some free Will schemes, the cost is not passed onto the charity.